I've been reading the book Contagious: Why Things Catch On by Jonah Berger, and it outlines 6 factors that makes things go viral. In this article, I'll share with you my thoughts on the 2nd chapter - Triggers. Interesting ideas tend to give the initial boost of word-of-mouth, but it won't sustain it. Something cool carries social currency while it's still fresh, but when many people already know about it, it can actually become a negative impact since its no longer up to date and those who share it can seem outdated. So there are really two types of word-of-mouth - immediate and ongoing. To sustain ongoing word-of-mouth and discussions, we need to provide our audience with triggers - something which they'd encounter on a regular basis that reminds us of our brand or product. One of the greatest and use of triggers is the 'Wassup!' Budweiser advert, where a bunch of friends repeatedly greet each other with 'Wassup!' throughout the entire advert. So Budweiser has associated it's product with a trigger that it's audience encountered a lot - a basic greeting. It happens to me a few times too, and it does bring back some fond memories, when me and my friends said 'Wassup!' and we both knew tthe reference. Another great bit of advertising that made full use of trigger is the Kit Kat slogan - "Have a Break, Have a KitKat". Everyone who works or studies (most people) need a break of some sort, and you'll often hear people say 'take a break'. So not only has KitKat associated itself with something people do often, but also something people say often. And just because your competition has much stronger branding doesn't mean you can use that to your advantage. A poison parasite is where we use a much bigger component as a trigger. 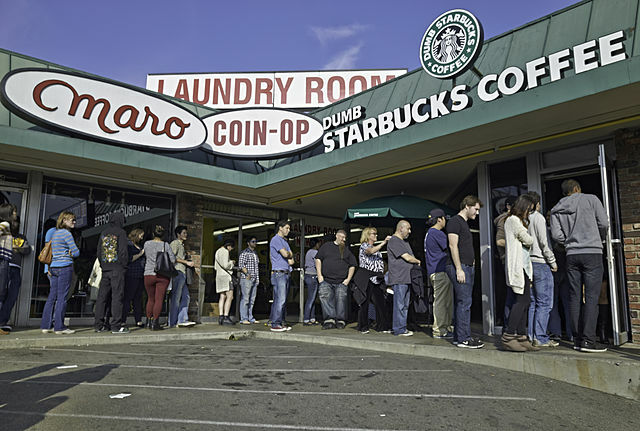 For example, just last year, a parody of the Starbucks franchise, called Dumb Starbucks, opened up and by using its competition name and logo, immediately received a lot of attention. Likewise, the California Department Of Health Services spoofed Marlboro's iconic cowboy ads and replaced it with "Bob, I've got emphysema." and "I miss my lung, Bob." So what makes a good triggers? Frequency and strength. Strength - more directly related your product/brand is to the trigger the better. So the trigger should be not associated with too many things, otherwise the connection won't be as strong and thus the association will be weak also. Location - make the trigger appear where you need it to be triggered. You want people to eat more healthy, place the triggers in canteens while they choose what food to get.